Bob Cardy is home from a spell in hospital and “feeling much better after a spot of pneumonia” according to a post on his Facebook page. He’s not slow off the mark to announce that there’s a new SHAFT single titled “Meteor In Your Mind” with upcoming shows at Golden Dawn and Thirsty Dog to be announced and then, not long after that, a brand new album – the first new album from SHAFT in 8 years and the first ever to be released on vinyl. 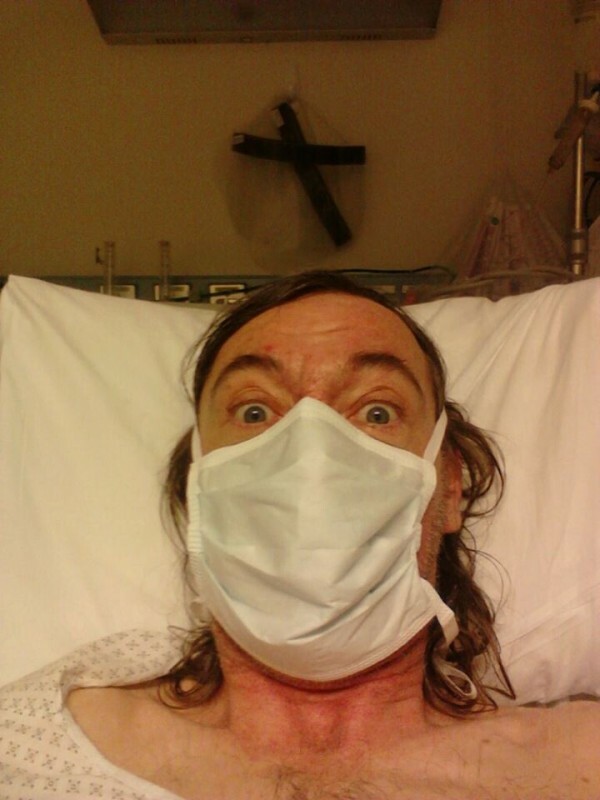 Here’s a picture of Bob in hospital that he shared on Facebook last week!